Tupelo, Mississippi, is an upbeat, happy city where people believe they can accomplish anything. 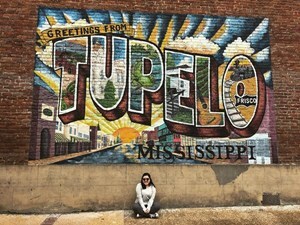 Located in the hills of Northeast Mississippi, a visit to Tupelo offers guests a walk through the past with the boy who would be king, Civil War soldiers who defended this land, and Native Americans who roamed these hills over 8,000 years ago. At its heart, Tupelo is full of contagious optimism making it a Center of Positivity. Tupelo opened its newest attraction in early 2018. The Tupelo Visitors Center is the perfect starting point for any trip to the city where anything is possible. 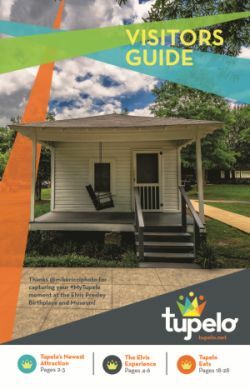 From interactive exhibits that highlight the city's top attractions and a collective timeline of Tupelo's rich history, to displays focused on Elvis' childhood in Tupelo as told like never before, the Tupelo Visitors Center will fully prepare visitors for exploring this unique, southern town. Spring is festival season in Tupelo. From burgers and classic cars to the arts and live music, Tupelo's unique culture shines through special events designed to bring people together for food, fun, and fellowship. Visit the EVENTS page on tupelo.net to discover all of the city's festivals and plan your weekend getaway to Tupelo. Tupelo is home to three distinct shopping districts, offering an abundance of choices for shopping mavens of all ages. The city's culinary landscape is just as diverse as its many attractions, festivals, and shopping opportunities, with over 160 restaurants ready and willing to make your mouth water. The town that enabled Elvis to dream big still embodies that same contagious optimism that put him on a path to stardom, and today, it beckons visitors to imagine what you can do here!